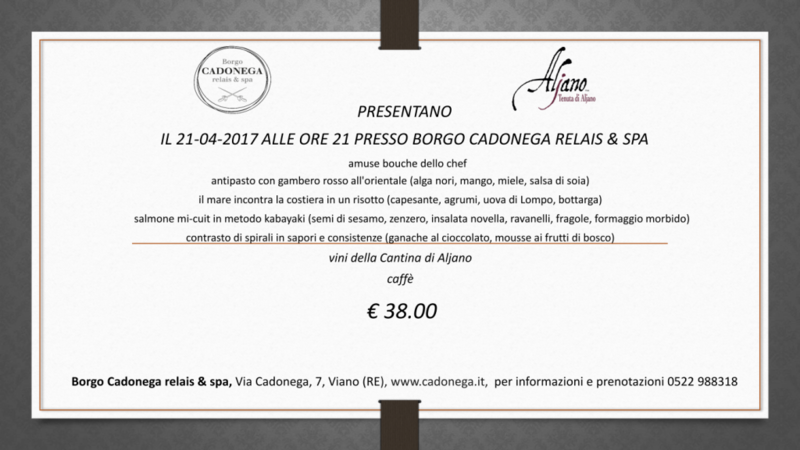 Aljano is pleased to invite you on Friday, April 21st to a special dinner in collaboration with Borgo Cadonega, a relais and spa located in the heart of Viano, not so far from our winery. The Event will consist of a exquisite dinner partially inspired by Oriental cuisine, designed and managed by chef Andrea Fanti and enriched by a selection of our wines. The atmosphere will be the magic and sumptuous one of the Restaurant of Borgo Cadonega where you can enjoy a culinary experience that rivisits the tradional Emilian cuisine in a modern way. The price will be 38€ each person. Reservations required at the number 0522-988318. 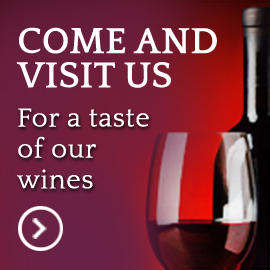 The event will be held at Restaurant of Borgo Cadonega.